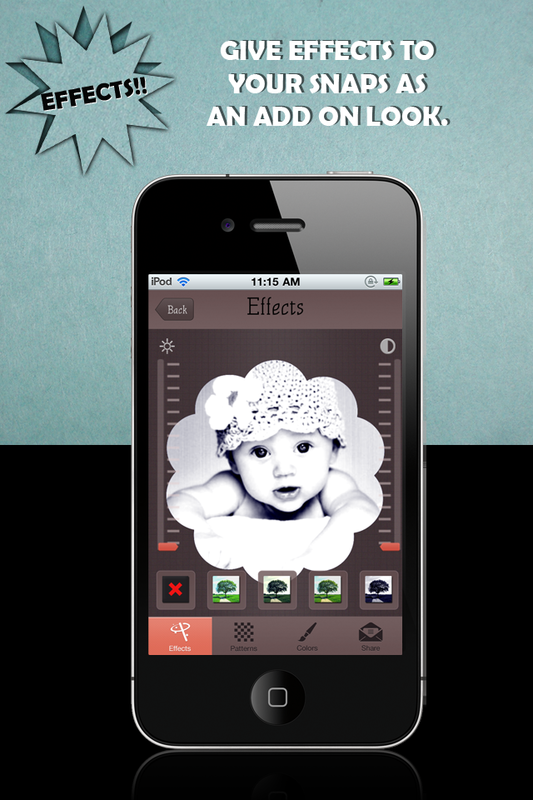 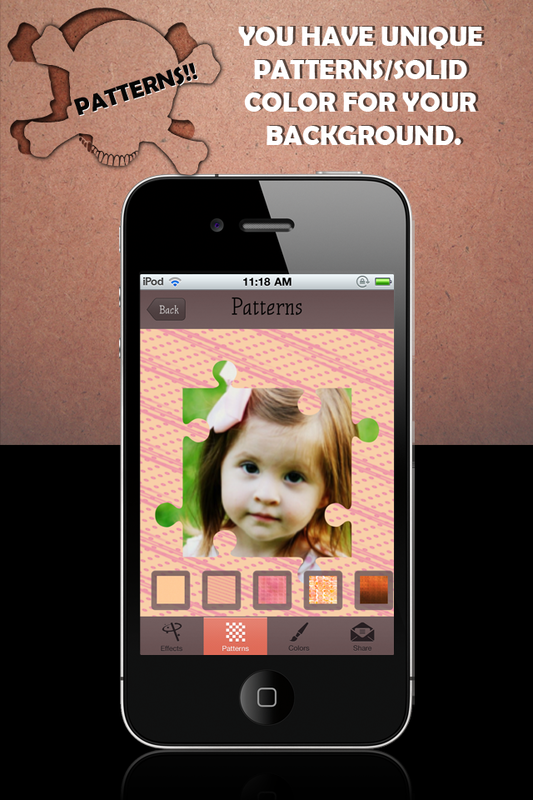 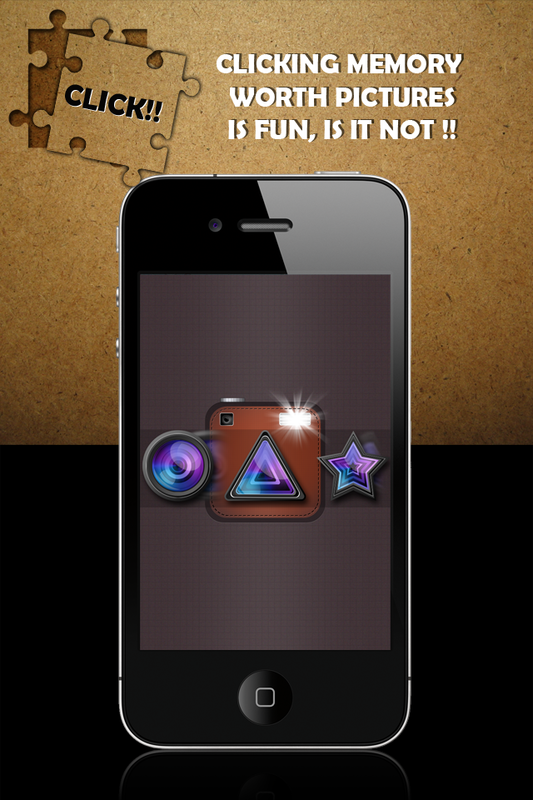 Add cool shapes and colors to your pictures! 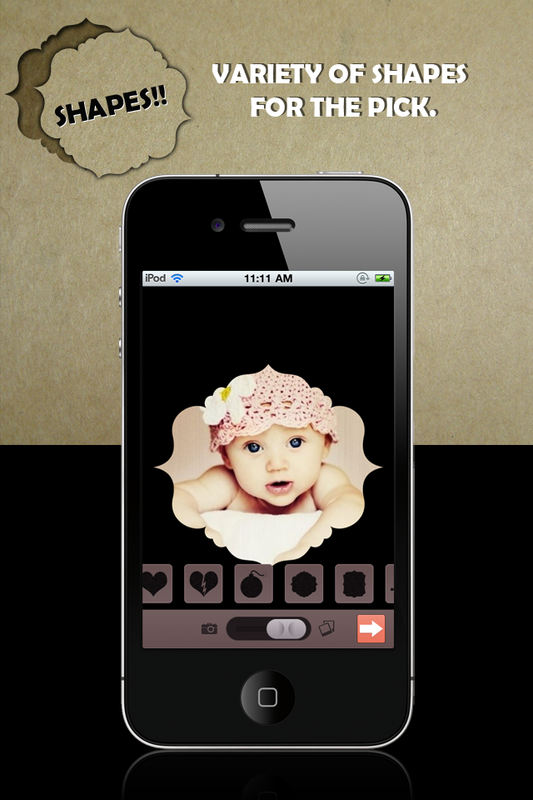 Make any picture a nice decoration removing the background and adding a new one in form of shapes. 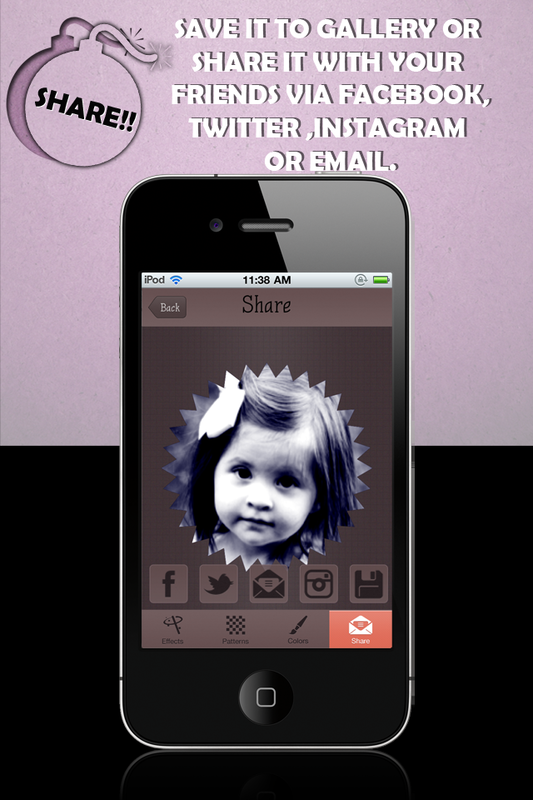 Share them using instagram, facebook, twitter, save & email.